You can find the rest at Storify. Well, this will be an “inconvenient truth” for Al Gore. Wonder if he’ll include it in his next book? 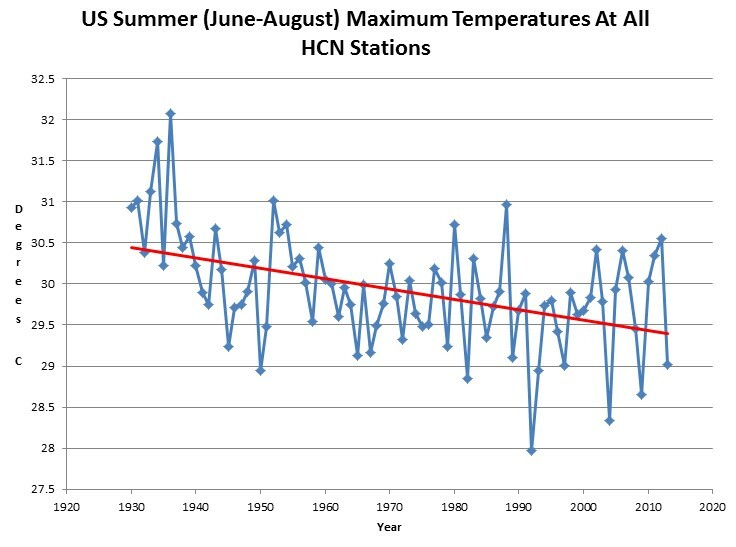 Prior to NOAA data tampering, US summer afternoon temperatures have been plummeting, with the current summer being the eighth coolest on record so far, and almost 3C cooler than 1936. This does not suit Obama’s agenda, so look for government experts to report the exact opposite of what is happening. You are currently browsing the Public Secrets blog archives for the day Saturday, August 17th, 2013.